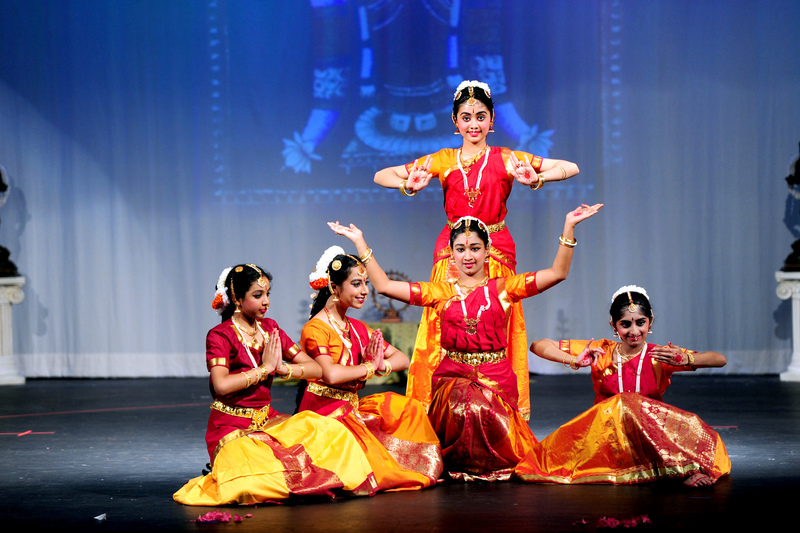 Atlanta, GA: Natyanjali Academy of Dance recently celebrated its annual recital at Lanier High School in Sugar Hill, GA on May 5, 2013. Titled “UTSAVA”, the event highlighted major festivals and celebrations in India, showcasing dances about the Gods associated with each of them. The aim was to educate the younger generation growing up here with regard to the practices and significance of each festival. 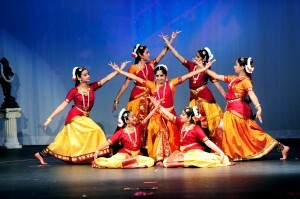 The event was conceived, coordinated and directed by Chandrika Chandran and was a true celebration of Indian culture. The program started with the singing of the “Star Spangled Banner” by all the students, followed by prayers/slokas. Highlighted festivals included Sankaranti, Thai Poosam, Mahasivaratri, Ram Navami, Ganesha Chathurti, Navarathri, Vijayadasami, Margazhi Festival, Deepavali and India’s Independence Day. The show was a delight to the eye with colorful slide presentations, giving many details about each festival, and the students danced to various rhythms in color-coordinated costumes. There was a special segment on Late Pandit Sri. Ravi Shankar, paying tribute to the great maestro of music, through a Tarana set to the original tune and choreographed by Chandrika. The striking program finale set to India’s National Anthem had all the students walking on to the stage, waving an Indian flag, while singing the anthem. The students of the academy are actively involved in the community, conducting workshops and dance demonstrations to outside groups to increase awareness of the art. They are also regularly invited to perform in community cultural programs and have been featured in many of Atlanta’s prominent showcases, the most recent being Natyanjali’s own production “Mohana Krishna” in 2010, performed under the auspices of ASHA for Education, to raise funds for underprivileged children in India.